This week I am in North Carolina visiting family and my aunt from London is visiting us as well. 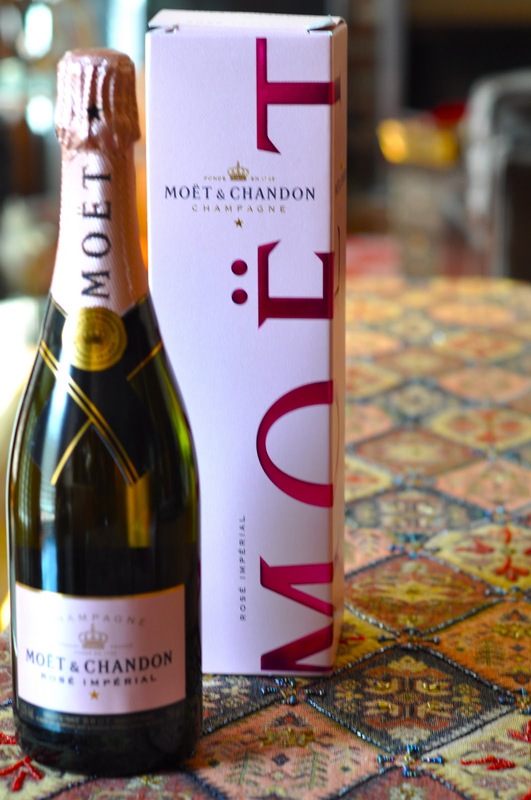 She brought one of my all time favorite things- Moet Pink Champagne. We will certainly pop this open Thursday over Thanksgiving dinner. 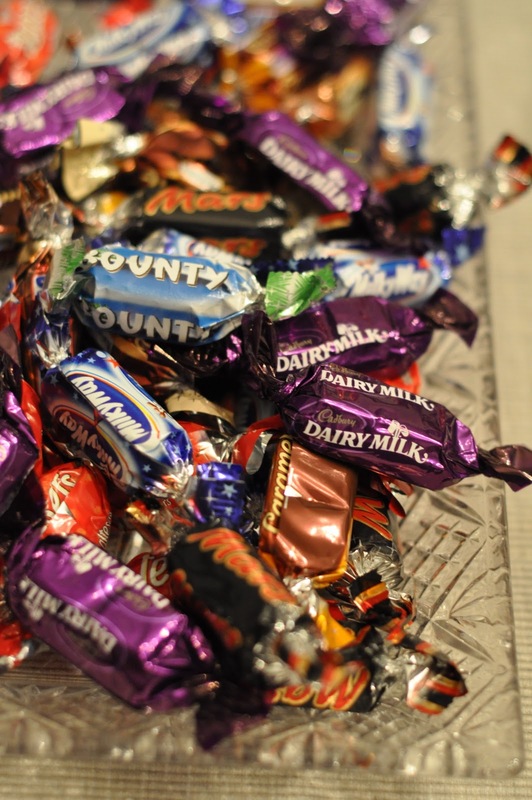 We always get a huge stash of British chocolates including Dairy Milk, Mars, and other chocolates when any of our relatives visit us from London. My brother, sister, and I all have to divide the "goods" equally since we all love these chocolates. (and seriously the British chocolates really do taste better.) We have to keep these away from my husband and daughter who both seem to have a serious weakness for chocolate. And I got this lovely necklace and bangles from her as well. I am so happy and thankful for having some time this week to relax, reflect, and spend quality time with my family. What are you happy and thankful about today?